They say the best things in life are free, and there’s no exception when it comes to computer software. To educate people about the benefits of using high quality free and open source software (FOSS), Rochester Institute of Technology will host its fifth annual Software Freedom Day Rochester celebration Sept. 20–21 in Student Innovation Hall. The 30-hour event is free and open to the public. From noon to 6 p.m. Sept. 20, the celebration will include guest speakers from major FOSS organizations, including Mozilla, Ubuntu and Red Hat/Fedora; tutorials on how to download open source programs; and workshops for building your own applications. At 6 p.m., a 24-hour hackathon will kick off, in which developers will work together to complete a number of challenges. “This event is not just for computer people who know how to code, it’s for anyone that wants to learn how to use free software,” said Remy DeCausemaker, the event’s lead organizer and a FOSS research coordinator in RIT’s Center for Media, Arts, Games, Interaction and Creativity (MAGIC). While access to the human-readable source code in proprietary software is normally controlled and restricted by an organization, free and open source software—such as the LibreOffice Suite—gives users the right and ability to use, modify and share the software. Not only is the software free to download, it’s also transparent and sustainable, giving anyone access to the source code and its data, not just the machine-readable end product. 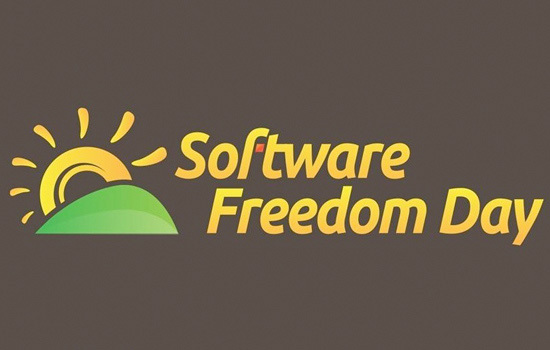 The Software Freedom International organization started the celebration in 2004 in an effort to encourage the use of free and open source software in education, government, business and at home. Today, about 300 sites in more than 60 countries participate in the event. “Software Freedom Day is a great way for RIT students to kick off the school year and get introduced to the FOSS community in Rochester,” said DeCausemaker. In tutorials and workshops, attendees can learn about installing and using free software, including the vector graphics editor Inkscape; participate in lightning talks; and learn how to make apps for the new Firefox OS. Hacks/HackersROC, in partnership with WXXI public broadcasting in Rochester, will also show off their new crowd-source citizen journalism mobile app Yellr. Demonstrations of final products from the hackathon will begin at 5 p.m. Sunday, Sept. 21. Winners will go home with a new Firefox OS Flame smartphone. For more information and to register for free, go to http://sfd14-roc.eventbrite.com.